For a lot of people, going freelance is the dream. When you’re a writer working for someone else, or you’re slaving away at a job you hate when you REALLY want to be writing, it’s tough. And when you’re used to that comfort blanket of working for somebody and having a guaranteed income every single month, the idea of leaving that all behind and taking the risk to bet on yourself can seem impossible. When you have a family that you need to provide for, it’s even harder. It’s terrifying, even! Yet, there’s still that allure. Something pulling you. Telling you to give it a go. And it’s there for a very good reason. Because you should definitely be putting the plans in place to make the leap and become a freelancer. But how? 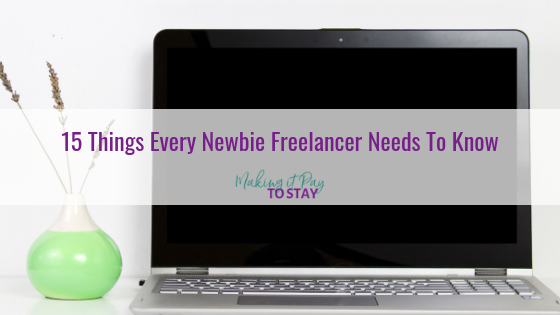 When you’re new to the world of freelance or you’re just starting to think about how you’re going to get started, it’s intimidating – but it doesn’t have to be. It’s so important for you to work on this as soon as you get the idea. And to slowly build things up. As you do that, you’re definitely going to learn a lot. You don’t have to wait to make a million mistakes before you find success as a freelancer. Remember, you’re starting your own business, and you want it to do well, so it helps to have a helping hand at the beginning. 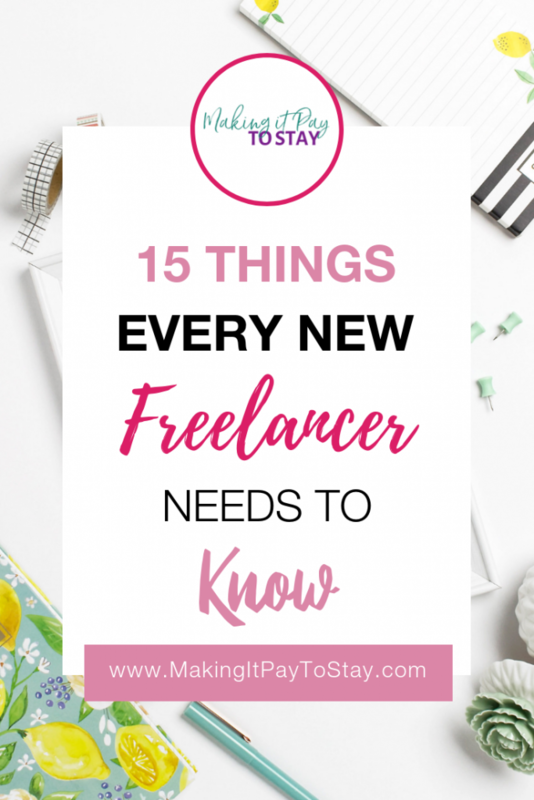 Let’s take a look at some of the things you need to know as a newbie freelancer. First of all, you have to do your research. Before you dive on in, you need to get a few ideas about what you want to do and how you’re going to do it. So read up and get a firm plan of action in mind. There’s a ton of books and online information about freelancing. So get to know it and work out what you want to do. The next step in the research process is to identify exactly who you’re targeting. Is it a magazine editor? A blog owner? A marketing agency (and the head of marking there)? A small business owner? Make sure that you know who your ideal client is. Understand their pain points and what they require from your work. That way, you’ll be able to market your services better. And then, you just need to get started. As much as research is important, you can do too much of it. There’s only so much that you need to do. And then, you actually just have to get to work. So it’s time to get writing and establish yourself as a reputable freelance writer. The next thing you need to do here is think about pulling yourself a website together. Because you need a platform that you own, to be able to sell yourself. And not only that, but you need to have a portfolio where you can add in the experience you have and showcase what you can do. You also need to add your contact details so that any visitors can get in touch. It’s also important for you to have a blog on your website too. This is a great way to showcase more of your writing skills and position yourself as an expert. So think about what kind of content you could write – do you want to write about writing? Or maybe the niche that you’re in? If you’re a copywriter, maybe you could write about your clients’ pain points? Just get started, as this is another way to showcase your skills. A huge part of both your blog and your website will be working in some SEO. Because it’s always handy to make sure that the site is optimized and showing up in searches online. Luckily, there are lots of plugins that you can use to help you make sure that you’re nailing your SEO, or you can hire an expert. One of the most important things you need to be able to master as a freelancer is pitching. Because little, if none at all, of your business, will come to you. You have to go out there and chance it. So this will involve mastering the pitching process and coming up with your own way of selling stories or landing clients. And not only that, but you have to do it time and time again. The more pitches you send out, the more business you’re likely to generate. Next up, you have to make sure that you’re getting uncomfortable. These days, it’s far too easy for you to be afraid of a challenge or what to stay in your comfort zone, but this won’t help anyone. Instead, you need to make sure that you’re stepping up to the plate and trying new things. Pitch for things that are a little above your skill level, because it’s always good to keep pushing for the next step. One thing that you really need to know and keep in mind, is that it’s essential to be consistent. You need to make sure that you’re working on this every single day. Even if you can only spare a few hours alongside your current full-time job. Consistency is key. Because when this becomes a habit, you’ll get the work done to fast-track your success. Another thing that you’re really going to want to master here, is social media. It’s so important for you to be able to navigate your way around digital marketing as a freelancer. Because you need to be able to sell yourself and get in front of more potential clients. So make sure that you are on some social media platforms. Experiment with different ideas and strategies, to see what kind of activity is going to get your results. It’s also going to really help you to start networking with other writers and those in your target audience. This can help you to access opportunities for writing, learn from others, and grow as a writer too. The next thing you need to do here is work on your productivity levels. It can be overwhelming as a freelancer when you have a lot to do. Because you’re not just writing. A lot of your time is spent pitching and marketing and managing admin and finances too. So it does help for you to be able to focus properly when you are working. Here, you’ll find that tips on sites such as Sling Blog can help you. Try out different techniques to help you make your time more productive. When it comes to making your work as manageable as possible, you’ll want to make sure that you have systems in place. If you can streamline the way you do things with a routine, process, or even automation, it will make some of your tasks easier, to make your entire job more efficient. And then, as you’re doing this it’s so important to keep working on your craft too. Just because you’re getting work, it doesn’t mean that you are going to be as experienced as you can be. There’s always room for improvement. And so, you need to keep learning as much as you can. If you can constantly aim to improve your skills, you’ll grow as a writer. And this is when you can really start taking things to the next level. When the time is right (or even from the start if you can position yourself well), you’re going to want to raise the stakes a little. At first, your rates may not be where you want them to be. You set them a little low to test the waters, or because you were afraid they’d put clients off. But not that you’re in the swing of things and you’re getting traction, it’s time to up your game, charge more and land better clients because of it. And that’s all you need to know. Well, there’s probably a lot more that you’re going to learn along the way – and that’s okay. Because there’s just so much to the world of freelance, that you’re bound to pick up your own things along the way. But, when you’re first starting out and you’re a little scared, it’s good to have a helping hand and point you in the right direction. And that’s exactly what you can do with this post. Make sure that you handpick the right different points that are going to work for you personally. Because not everything on this list is going to work out for you, but a lot of it will. So pick up what you need to know and have a little fun trying to find your way in the world of freelance.